Beware! Maxitrade is an offshore broker! Your investment may be at risk. 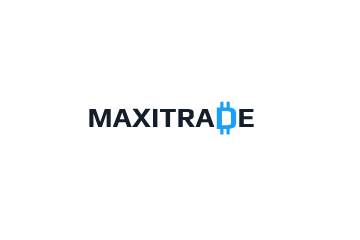 Maxitrade is an offshore forex and CFD broker, offering several account types with a leverage of up to 200:1 and the MetaTrade4 platform. 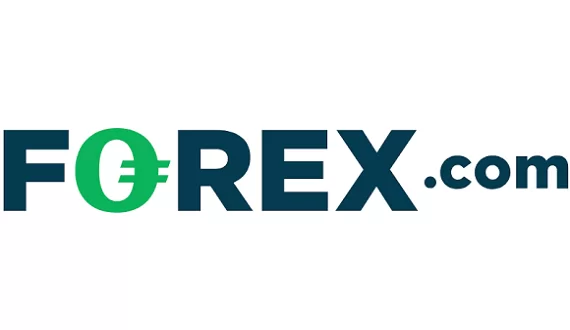 The selection of forex pairs is not bad, we counted some 68 pairs on their trading platform, with a variety of exotic currencies like Philippine Peso, Norwegian Krone, Danish Krone, Swedish Krona, Czech Krona, Hungarian Forint, Polish Zloty, Hong Kong Dollar, Singapore Dollar, Mexican Peso, Russian Ruble, Turkish Lira and South African Rand. 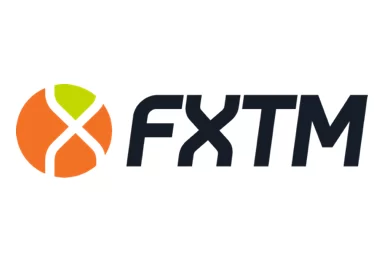 Other trading instruments include CFDs on platinum, palladium, silver, gold, oil and natural gas, lots of stocks, 18 indices and crypto CFDs on a variety of coins – Stellar, NEO, Altcoin Index, OmiseGO, DASH, IOTA, Ethereum Classic, EOS, Basic Attention Token, Zcahs, Ripple, Monero, Litecoin, Bitcoin, Bitcoin Cash and Ethereum. As tested with a demo account the benchmark EURUSD spread was just 0,2 pips, which is great, but most probably the demo account mirrors one of the premium accounts and not the Start Account, which you can open with 250 USD. Trading conditions put aside, however, we have some serious concerns about the regulatory status of the broker, which we will discuss in the following paragraphs. Maxitrade is owned and operated by Strategy One Ltd, which is based on Saint Vincent and the Grenadines and says to be regulated by Labuan Financial Service Authority (FSA) – a regulator supposedly based in Malaysia, we have never heard of before. Actually, our research shows that FSA is not a legit financial authority and respectively Maxitrade is just another unregulated, offshore broker with rather limited credibility. On the other hand brokers, regulated by respectable financial institutions, such as the Financial Conduct Authority (FCA) in the UK, the Australian Securities and Investments Commission (ASIC) or the Cyprus Securities and Exchange Commission (CySEC), do guarantee the security of your investment, as among others, they are required to allow external audits, to file regular reports, to provide a negative balance protection to their customers, to keep their money in a segregated, protected form creditors account, to maintain some minimum operational capital and in some cases even to insure traders money. For example, if you are trading with a FCA broker and the broker happens to be insolvent, you will receive as a compensation up to 50 000 GBP of your trading capital. Similarly with CySEC brokers the compensation can reach 20 000 EUR. With all account types Maxitrade offers welcoming trading bonuses ranging between 50% and 150%. Those bonuses, however, are linked to some rather tough minimum trade volume requirements, which if not reached, you will have trouble withdrawing your funds. On top of that in their Client Agreement Maxitrade says they are reserving the right to “institute limits on the amount of funds you may withdraw in any given period of time” and “in our sole discretion, refuse to process a Withdrawal request or place a payment hold on any part or all of your funds in your Account for any reason”. We should note that those clauses are rather unusual and further decrease the credibility of the broker. Otherwise the minimum deposit requirement ranges between 250 USD for the Start Account and 100 000 USD for the VIP Account, while the accepted payment methods include WebMoney, QIWI, VISA, MasterCard and Bitcoins. Most people get scammed after watching a video ad on one of the so called robo scam websites like Crypto Revolt and Bitcoin Evolution. There you will be promised fast and easy money with a minimum investment – and all you have to do is leave your e-mail and phone. And if you get hooked and register, you will be instantly transferred to the web site of a unregulated, offshore broker, where you will be asked to deposit about 250 USD. And do not be surprised when your first trades turn out to be so profitable – in fact your account will be manipulated, so that you will be more easily convinced to invest a larger sum. And that is when you will receive a phone call as well. It will be form your “senior account manager”, who will be impressed by your trading results, but will simply explain you that if you want to make some real money, you will simply have to invest more – like 10 000 USD or so. And chances are you will invest those 10 000 USD as well and will not know that you have been scammed until the moment you decide to withdraw some of your funds. Than, it will suddenly turn out this is not possible, because of some minimum trade volume requirement probably linked to your “welcoming bonus”. Certainly the pretext might be different, but the end result will be the same – scammers will not pay you a single penny back. There are just a couple of thing you can do, if you have been scammed and the first one is to file for a charge back with your credit card provider. The good news is that if you have payed with VISA or MasterCard you will have 540 days to do that. If for any reason you have revealed your credit card number or online banking password, immediately block your credit card and change the password for your online banking service. And finally, if money have been stolen form you, do not seek the services of the so called recovery agencies. They will just take a payment in advance without retrieving a single penny. I have been taken for R120000 in two months they done exactly what the review said they will do and they came up with new one concerning tramp and China. They said I need to add another 1000usd so they can help me recover that R120000. He has got good information on the trades and he will trade on my behalf. But if he could not make a cent with R120000 how can he make my funds back with 1000usd that’s how they slowly taken funds from me. Started with a competition then slowly dragged me in putting me in the minis saying I ow them funds for trade outs he let the trades run at a loss of 3000usd on a trade saying it will change and it’s in the right direction but never gets better trades out then he forces me to add funds because I am in the minis on my free balance. never stopped it with stop losses or any thing. But they don’t stop they say I must sell my car and invest the money he can double my funds. If you can change it and make the money back. How do I get this money back if I have made a few deposits to Maxi trade account under such false intentions. they didn’t teach me how to trade. Now, I almost lose my money, only $2,000 US DOllar left on my account. to complete all the documents on the account. how can you invest more or trust a company if you can’t withdraw money, once you know that you can withdraw, of course, you can invest again. but this company just show that even with the small money left on my account ($2,000) they won’t give it back to you. Please withdraw this $2,000 US Dollars under my name. they promise me that after i complete the docs they will return the money but they didnt!!!!! !